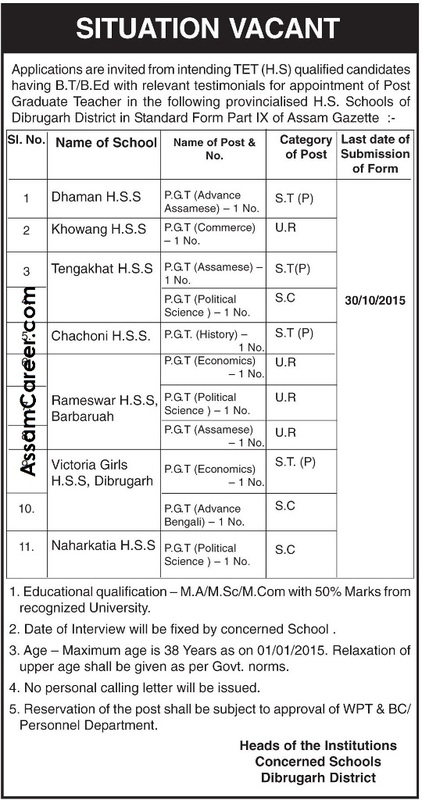 O/o Head of Institutions, Dibrugarh District. 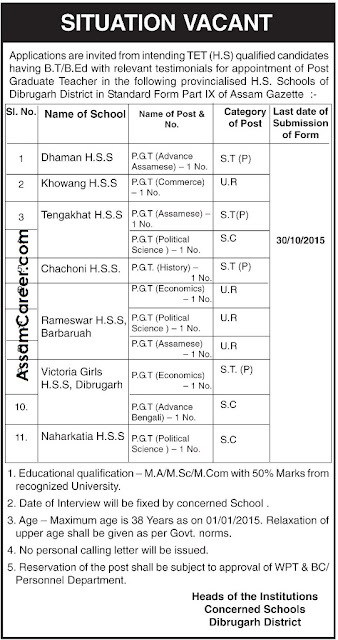 Applications are invited from intending TET qualified candidates having BT/BEd with relevant testimonials for appointment of Post Graduate Teachers in the following provincialized HS Schools of Dibrugarh District in Standard Form part IX of Assam Gazette. Educational Qualification: MA/MSc/MCom with minimum 50% marks. Age: 38 years as on 1st January 2015.